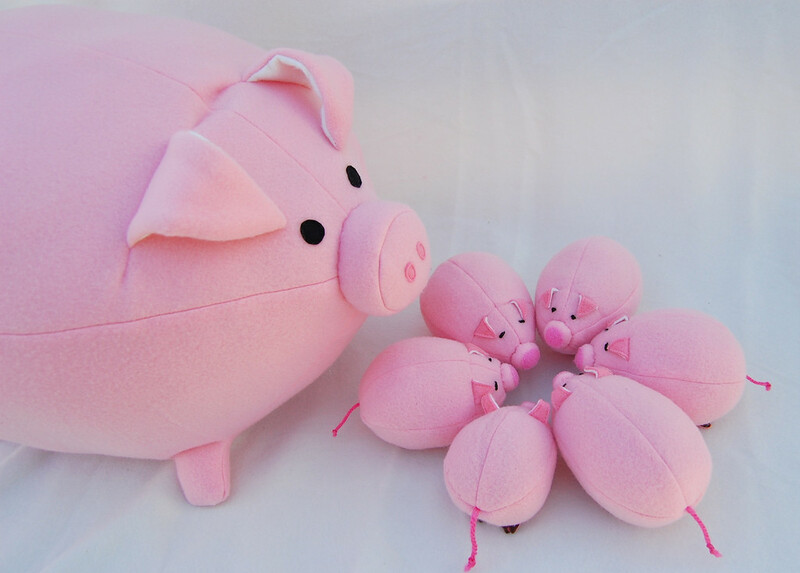 This is a pattern for making a large mother Pig and her little Piglets. 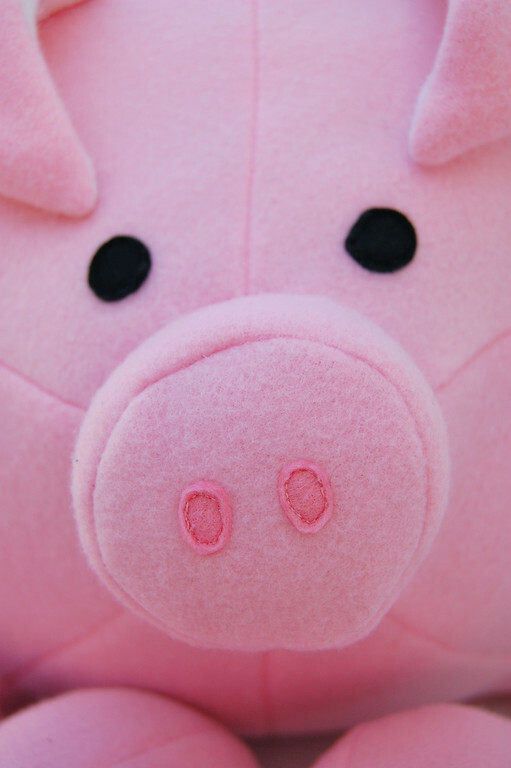 The Pig measures 20" from snout to tail, and the Piglets measure 4.5". 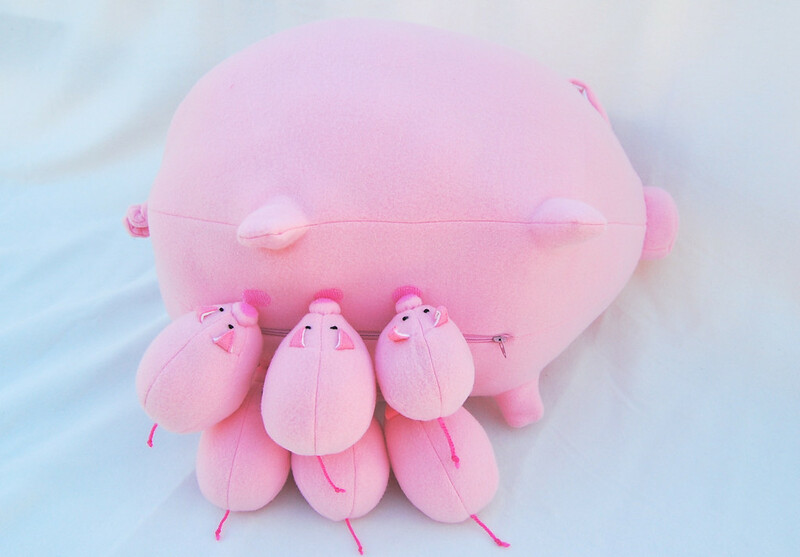 The Pig has a zippered pouch to store the Piglets, and velcro details on the underside, to which the Piglets' snouts can attach to simulate nursing. 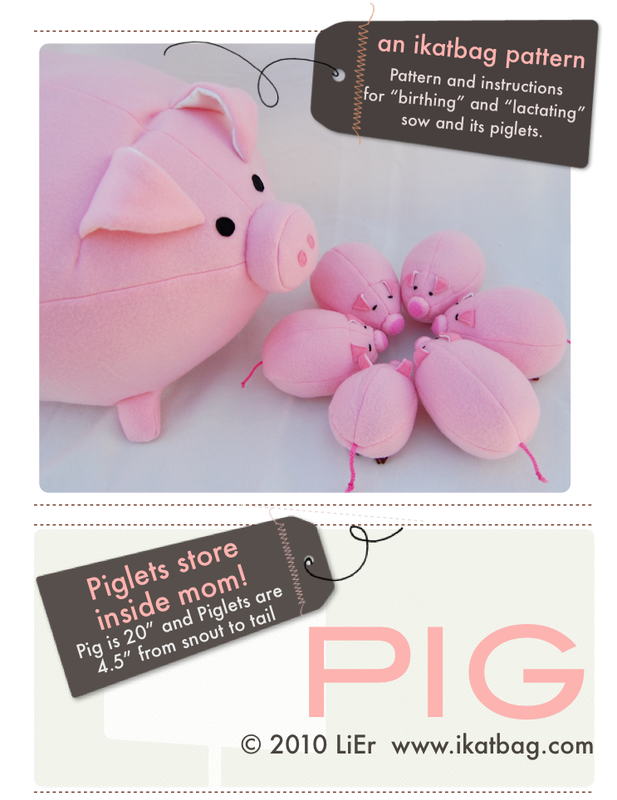 The pattern contains 11 pages of instructions, 3 pages of templates, and a cover page. 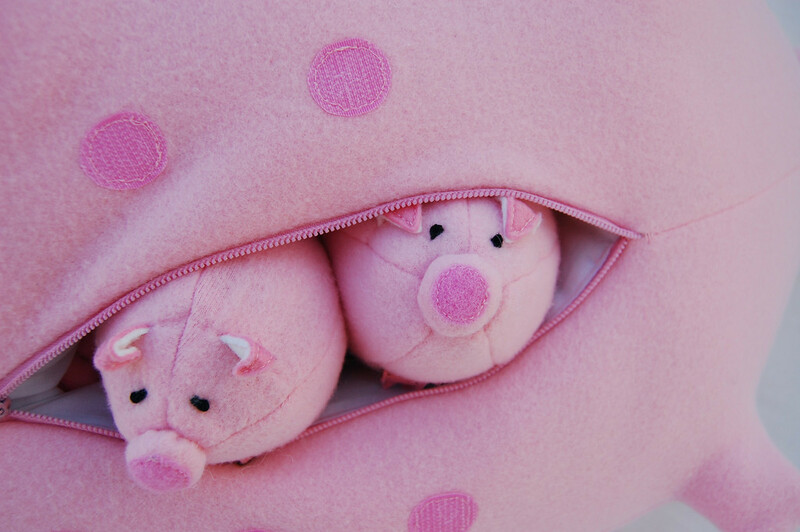 Sewers should be comfortable sewing curves, simple darts, and attaching a zipper with a zipper foot. Fleece is the recommended fabric for this project.